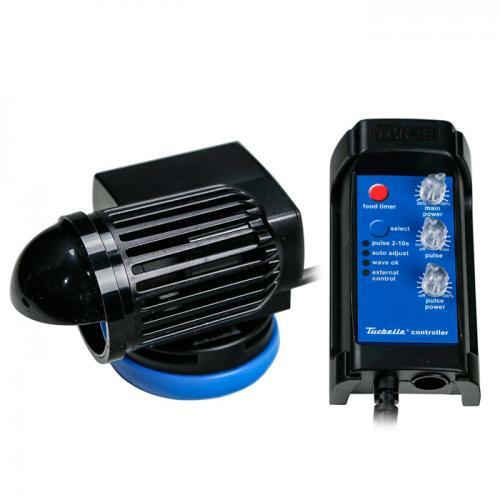 Brief Description: The Turbelle® nanostream® 6020 and 6040 electronic WIDE FLOW are a new breed of highly compact circulation pumps for aquariums from 20 to 500 liters (5 to 132 USgal.). They can be easily concealed behind the decoration, and thus ensure the harmonious overall appearance of small aquariums, which makes them absolutely perfect for aqua-scaping. Thanks to the special flow deflector and Magnet Holder, the wide water jet offers a 3D adjustability at the pump outlet. 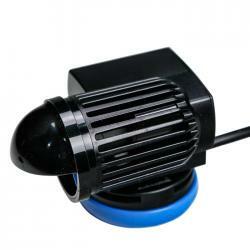 Through the Silence Holder they don‘t directly touch the aquarium glass pane, and are therefore unable to transmit vibrations, making them one of the quietest pumps available on the market. 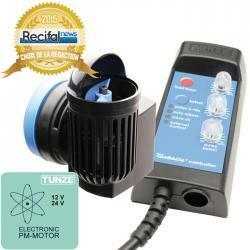 These quiet and energy efficient pumps are particularly maintenance-free thanks to their „Self-Cleaning-System“. Notify me when "Tunze Turbelle nanostream 6040" is re-stocked.